Timber windows are still the most popular choice for period properties. Their natural woodgrain finish perfectly complements the style of older buildings. When properly maintained, timber windows can last for over a century. They are often the only option when replacing original single glazed windows in Listed buildings and in conservation areas. Timber windows provide a unique aesthetic helping to tastefully retain a property’s heritage character. Timber is a natural insulator. Its composition makes it the perfect material for constructing high performing windows. Timber windows often achieve A ratings for energy efficiency, helping to create a more comfortable home all year round and save you money on reduced heating bills. 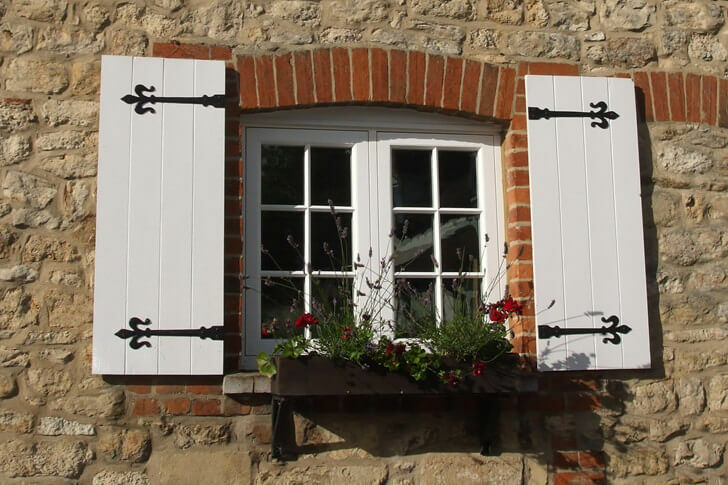 With excellent weather proofing capacity and a stylish aesthetic that won’t be beaten, it’s no surprise that timber windows continue to gain popularity with many UK homeowners. At FineLine, all our timber windows are made from sustainably sourced timber. Where possible, we recycle all by-products produced during the manufacturing process to limit waste. Once the windows are assembled, they are coated with three layers of protective micro-porous paint which gives a smooth professional finish while allowing the wood to breathe. The frames are designed to let water run off and a weather proof gasket further enhances water resistance. To ensure that your windows continue to perform at their optimum level, we recommend applying a new coat of varnish every few years. All our timber windows are bespoke designed and manufactured to ensure the perfect fit with every installation. For period properties and heritage homes, the classic look of timber won’t be beaten. Choose from a range of protective wood stain finishes or let your imagination take over with your choice of over 200 RAL colours. Timber windows can accommodate both double and triple glazing depending on your requirements.